The crushing headache that you get from quitting diet Coke is most likely due to caffeine withdrawal. If you drink several glasses a day, you might also have a psychological dependence on the beverage. Consuming large quantities of diet Coke can lead to loss of bone density because the phosphoric acid in the beverage leaches calcium from your bones. If you drink a lot of diet Coke, you can protect your bone health by quitting. 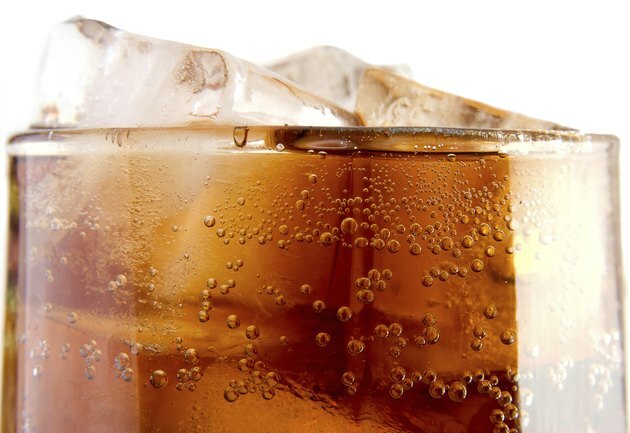 To quit drinking diet Coke without the crushing headaches, avoid quitting cold turkey. Record the quantity of diet Coke you currently drink in one day. Keeping track helps you determine your daily Coke ration when you start the weaning process. Refrigerate the exact number of cans that you need for one day, minus one. For example, if you normally drink one 2-liter bottle of diet Coke per day, that is equal to roughly 68 ounces of diet Coke, or approximately six 12-ounce cans. Set aside five to drink. Drink those cans of diet Coke throughout the day, as you normally would. When you run out of the cans you set aside, do not drink any more that day. Replace each can of diet Coke that you cut with a noncarbonated beverage, such as water. After a week of drinking five cans, reduce the number to four per day and continue for one week. Continue reducing the number of daily cans you consume each week until you get to zero. You want to use cans because they are premeasured. Using cans also gives you a much better visual on exactly how much diet coke you consume. You may still experience headaches as you slowly reduce your diet Coke intake, although they should be less frequent or severe than going cold turkey. If you do experience a headache, try an over-the-counter headache remedy that contains caffeine. CNN.com: Can You Get Hooked on Diet Soda?